I have to be honest with you. Lately, I have been allowing fear to take over my life and paralyze me (figuratively speaking of course). I have found that fear for me presents itself as seemingly important things like: checking my email, updating social media websites, the ever ongoing ‘research’ into something without ever acting upon said research, texting, school work, working out, TV and the list just keeps going. I focus on these rudimentary steps thinking that I am making some form of progress forward. 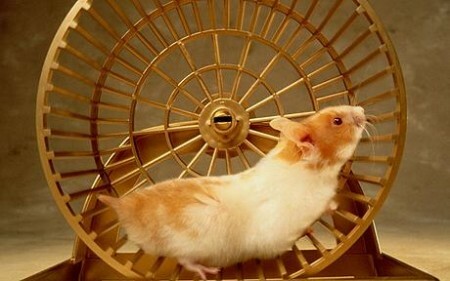 When in fact I am really that hamster running in place on a wheel. I feel like I am doing some serious work, since I am constantly tired, my schedule is always full, and I make excuses of why I am too busy to be hanging out with friends. 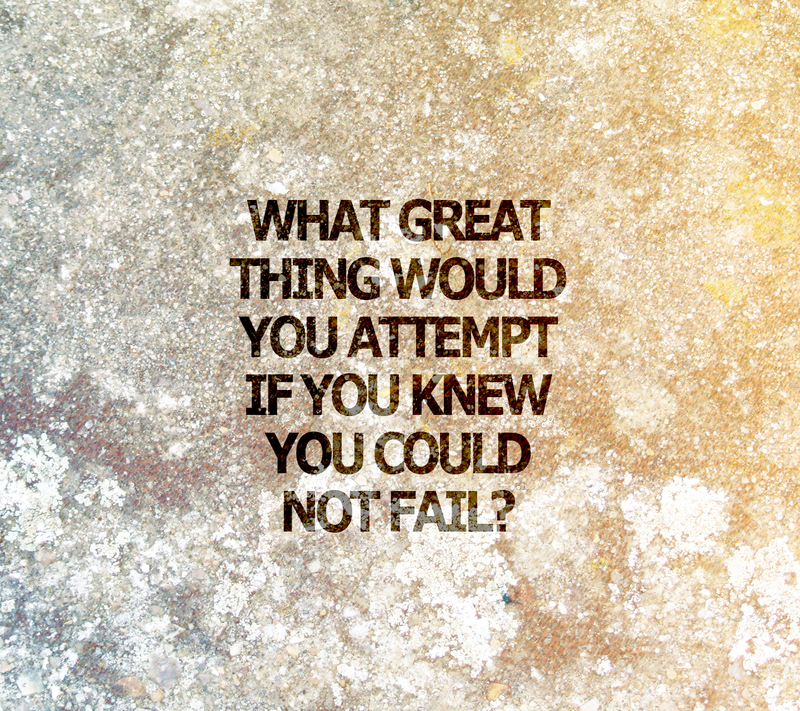 What it boils down to is that, I am fearful of truly making progress forward. Why? This could come with massive success that I am not prepared for, or it could just confirm my doubts by being an enormous failure. Regardless either option seems too ‘risky’ or so that evil voice in my mind tells me. So why am I sharing this all with you? to do, but not acting on them due to the infamous ‘what if’ question. I cannot remember the last time I have been this productive and happy with myself for acting on what I want. When you decide to release fear you have the choice of freedom. If you never have, or it has just been a while take a few minutes to think about it. My whole point behind this article is for you to recognize where fear presents itself in your life currently. Through doing this you will now have the choice to release it and choose freedom instead. Take a deep breath, release your fears, and now go out and conquer the world! For it is with you that the world has a chance to be truly magnificent.